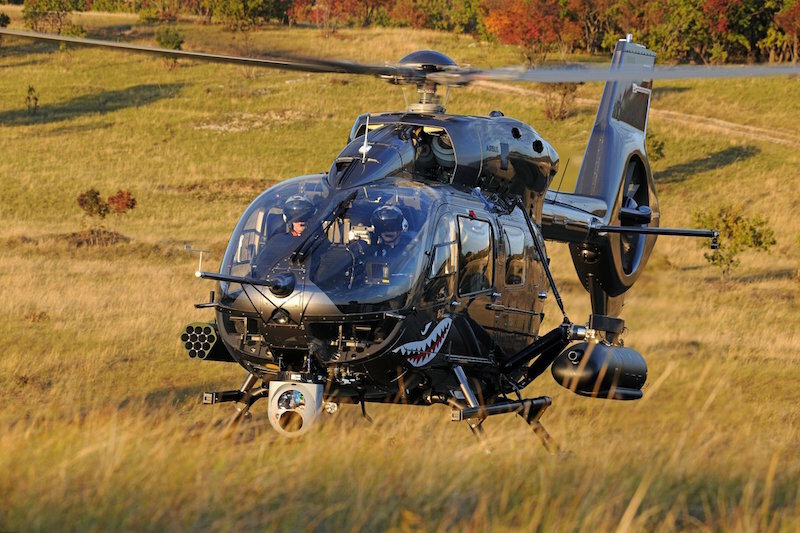 DONAUWÖRTH, Germany --- The Hungarian Ministry of Defence has ordered 20 H145M military helicopters equipped with the innovative HForce weapon management in the frame of the military modernisation programme Zrinyi 2026. Together with the helicopters, Airbus will provide an extensive training and support package. With a maximum take-off weight of 3.7 tonnes, the H145M can be used for a wide range of tasks, including troop transport, utility, surveillance, air rescue, armed reconnaissance and medical evacuation. The Hungarian fleet will be equipped with a fast roping system, high-performance camera, fire support equipment, ballistic protection as well as an electronic countermeasures system to support the most demanding operational requirements. The HForce system, developed by Airbus Helicopters, will allow Hungary to equip and operate their aircraft with a large set of ballistic or guided air-to-ground and air-to-air weapons.